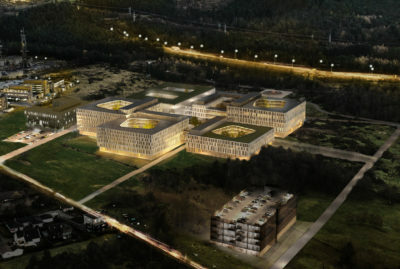 In 1999, Gardermoen Næringspark AS asked the artist Vebjørn Sand to create a landmark in the industrial park that was planned at Oslo Airport Gardermoen. Sand immediately thought of the Kepler star, stating that this is a symbol and a vision which connects the cultural and spiritual history of the past and the technology and aesthetics of the future. The star was first constructed by the 17th-century astronomer Johannes Kepler as a development of the icosahedron, one of Plato’s five geometric solids, which is made up of 20 triangles. 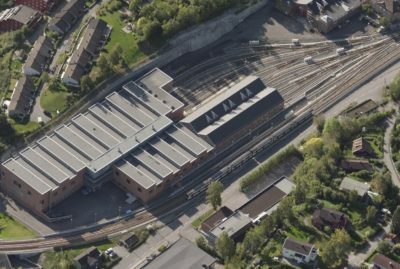 Aas-Jakobsen was contracted by Gardermoen Næringspark to assist with the structural safety design. We were involved right from the start, which meant that we were able to work very closely with the artist. It was particularly challenging to be part of designing an artwork for which the materials and details were initially extremely open. 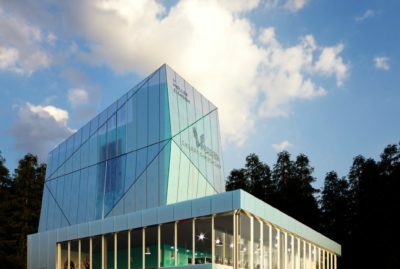 It was also very important for us to maintain a close dialogue with AF Spesialprosjekt AS, which was the contractor for the artwork. 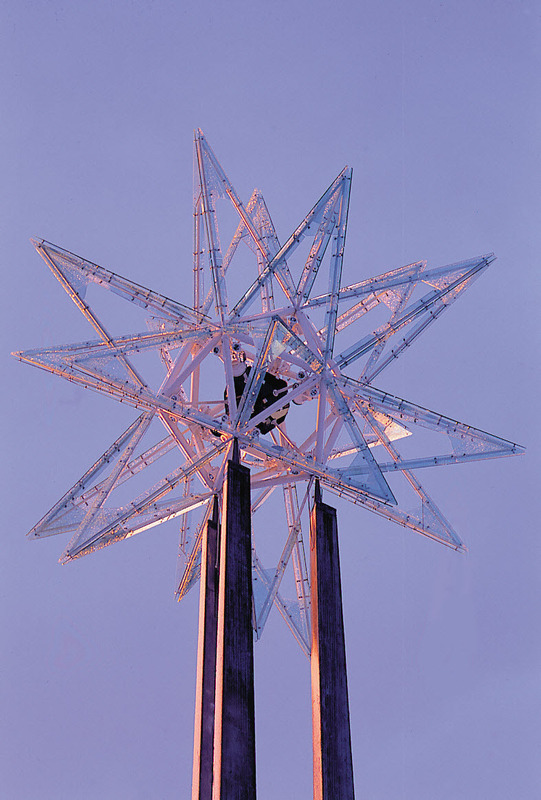 The star was built using 102 steel pipes and 13 steel balls, which were bolted together using pre-drilled threaded holes in the balls, and bolts at the end of each rod. 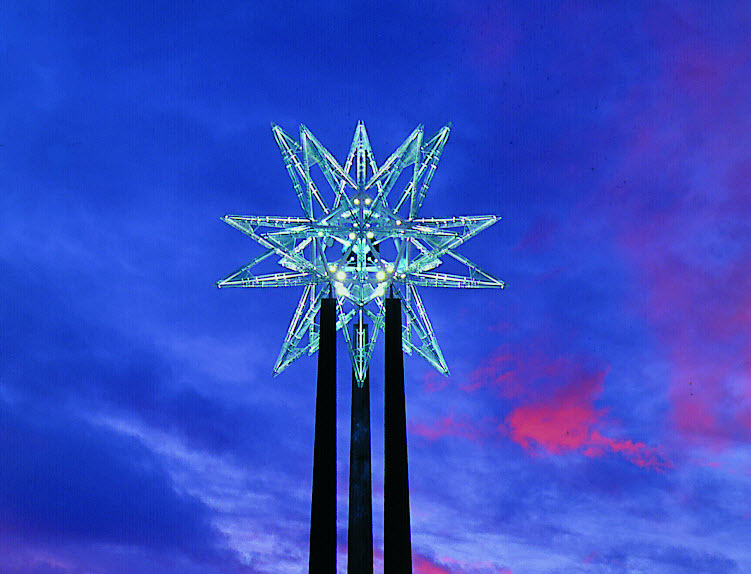 The points of the star are welded together. Crazed glass plates are attached to the frame along the 20 arms of the star. The star has a diameter of 15 metres. 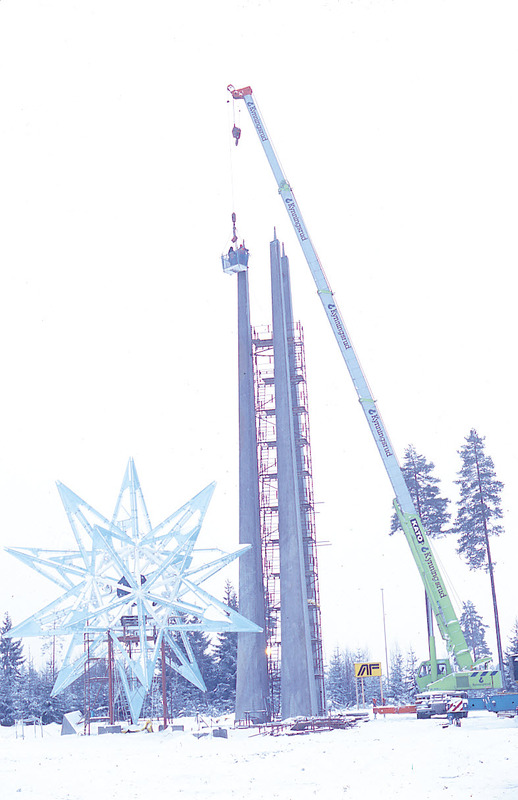 The star is bolted to a concrete base made up of three triangular 30 metre high post-tensioned concrete columns. The total height of the star is 46 metres. The shape and stability of the star were a challenge, due to the acute angles, number of rods in the joints and the desire to create a slender sculpture, while meeting high requirements in terms of accuracy, surfaces and aesthetics. The result has become a landmark which most people who have travelled to and from Gardermoen Airport have observed as a beautiful and exciting sculpture. 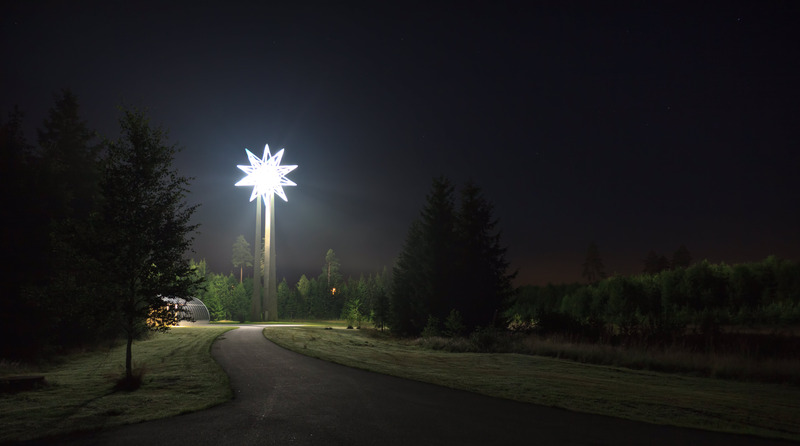 A smaller, mobile star has also been erected at Frognerseteren in Oslo. 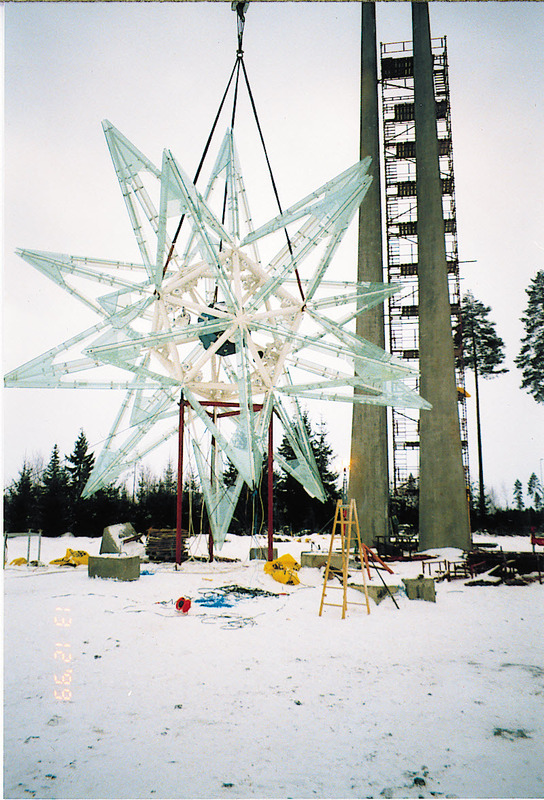 The star was illuminated and flown (by helicopter) to Gardermoen, and this dramatic flight marked the official opening of the artwork at the turn of the 2000 millennium. The project was exciting and different, with the art and the aesthetics in focus from start to finish. A partnership with the Nobel Institute led to the star being used when the Nobel Peace Prize was awarded at Christmas 1999, and this was when it was named the Peace Star.